Women’s bodies are designed to birth naturally and confidently. Birth is a cause for celebration and joy; it possibly can be the most beautiful experience of your life. Much of what we hear about birth from those around us, even from well-meaning friends, doctors, and the media, sends the message that birth has to be painful and fraught with dangers. These stories can create fear and tension in the mother’s mind and body, which can inhibit the natural process of birth, which in many cases can lead to stalled labor and otherwise unnecessary interventions. The focus of HypnoBirthing® is on deep relaxation, working with the body, working with the birthing instincts, releasing fear, and replacing it with confidence and trust in the birth process. Because many women have been conditioned to associate extreme pain with birth, many women are deeply afraid of giving birth. Fear creates tension, which stops the body’s natural ability to perform the normal, physiological function of giving birth. Fear can lead to unnecessary pain and intervention. 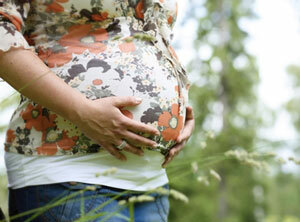 HypnoBirthing® will, through education, help you eliminate the cultural negativity surrounding birth. You will find the knowledge to break free from these erroneous misconceptions that don’t benefit you or your baby. You will discover that childbirth free of fear is a comfortable, joyous, celebratory experience. During birth, the body is designed to produce hormones to bring you joy, increase attachment to your baby and those around you, and to birth with ease. This happens when the body and the mind are relaxed and welcoming of birth. You birth with joy and attachment. If fear or stress is brought into the birth, adrenaline, the fight or flight hormone, is released and your body clenches, tightens and in many cases stops the birth altogether. This is how the body reacts to fear; it protects the child from danger by postponing the birth. Our HypnoBirthing® childbirth class will thoroughly prepare you. It is a comprehensive birthing class that fully prepares you for birth with the knowledge and confidence you need to birth calmly and gently. The course will prepare you for natural birth, and to make an educated, confident decision should you need an intervention. The vast majority of women feel so prepared and empowered by HypnoBirthing® that they have fully natural, un-medicated, un-intervened births. HypnoBirthing® provides you with the knowledge you need to feel confident, and the techniques to remain calm and in control during your birth, just as nature intended. Birth with love and joy!